Laufen, Laufen! | Sprechen Sie Sassy? 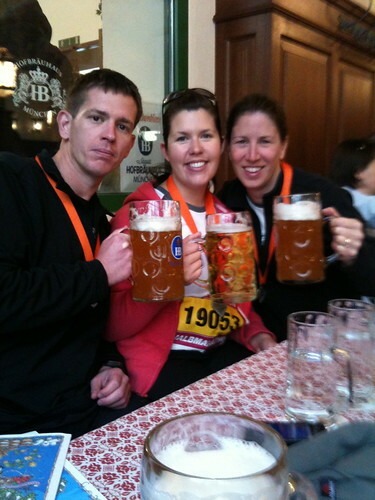 In the few years preceding our move to Germany I participated in about 10 or 12 half marathons and even managed to complete two full marathons. 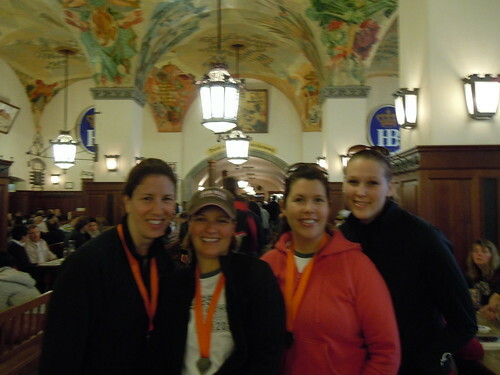 My first, the San Antonio Rock & Roll Marathon, was on my 39th birthday in November, 2008. And here is a post about my Marine Corps Marathon experience in Washington DC in October, 2009. Worth the read, if I do say so myself. 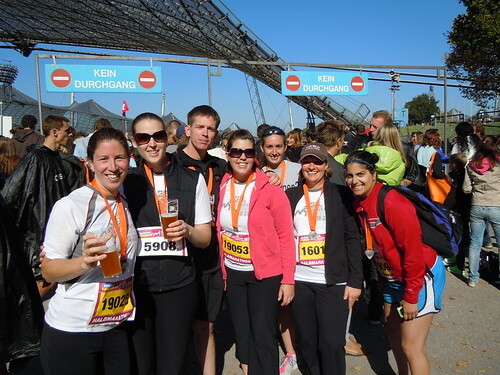 When the gang here decided to give the Munich Half Marathon a try I was all for it. Our guys are in the Army and are great at this stuff. As for us ladies… We “trained” – if you count sort of running together but often just drinking coffee in our running clothes. And when we did set out to run, our route included darting across a busy road without a crosswalk, which is very un-German. (The Germans wait for the ‘walk’ sign to light up, even when nobody is coming for miles. Once, I saw a crowd wait for the light to change, even though the road was closed to vehicles!) We quickly dubbed our little group Team Breakin’ the Law. 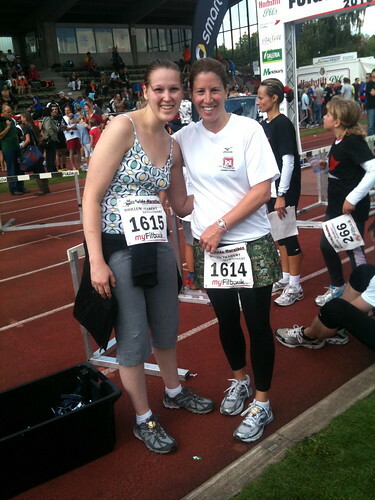 One neighbor, Angel, had never participated in anything further than 5K, so she and I decided to run the Fulda Half Marathon a month before the big event in Munich so she’d know what to expect. 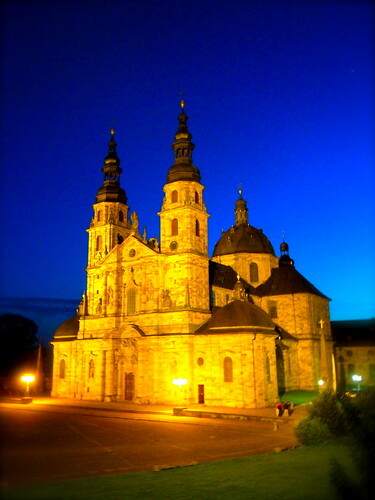 Fulda is an adorable town and just happened to be hosting a wine festival the night before our race. As it turns out, most participants at this event are serious, serious runners who belong to running clubs. They ran in packs wearing matching outfits and zoomed right by us. There were seemingly no novices, other than us, the two American girls. We were utilizing my usual running plan – the Galloway Method. I run a consistent 12 minute mile. Hot, cold, feeling great, hungover, plagued by the flu, tired, refreshed, it makes no difference. I am a 12 minute miler. So, we’d run a minute, walk a minute, run a minute, repeat. It has worked for me in every running situation and is tried and true. But… the Germans did NOT appreciate our efforts since we were walking, and they were not cheering us on. Quite the contrary. We circled through the streets, down a country road, and eventually ran on a dirt hiking trail, cross country style! It was here on the trail, somewhere around mile 10, that a man with a megaphone got very close to us. Close enough that he could have just spoken, or even yelled, but instead he made a very loud, German announcement into my ear with his megaphone, handed me a yellow card, looked at us in disgust, and shook his head. We didn’t quite know what he said, but we knew it wasn’t good. We plodded on, walking, running. Walking, running. Walking, running… Angel had some allergy problems and knee pain, but we aren’t quitters! Sometimes we walked through more than just one minute. I was glad there weren’t any (unfriendly) crowds to see us walk, but was also concerned we were no longer on the race route as there weren’t any indicators. The only participant behind us was a man who looked like he was in his 80s. Eventually, we got to the finish line where I realized we ran a respectable time (by American standards, anyway.) But I can’t tell you what that time was because that yellow card handed over to us earlier? It was a disqualification. So all of the participant’s finish times, even the time for the old guy who finished after us, were posted the event’s website. But not ours. Seems our slow pace and the fact we had the the audacity to walk during a running event was just not acceptable. We were rule breakers! Team Breakin’ the Law, indeed! The card did entitle us to a free beer, though. Oh, Germans. You’re crazy. 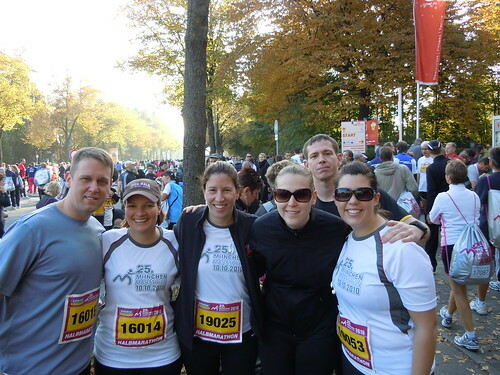 So, we shouldn’t have been surprised when we ran in Munich, and the crowds would yell at us when we walked. “Laufen! Laufen! – Run! Run!” They seemed confused and thought we were participating though we were unprepared. It really made me appreciate friendly, encouraging crowds in the States. Luckily, the marathoners started an hour or two after the half marathoners, so there was a crowd to blend in with, though they had all run twice as far as us. And despite the less than warm reception, the race still had some high points. My first ever glimpses of Munich’s historic MarienPlatz were as I ran through the streets and the local radio station blasted Kid Rock’s All Summer Long. So I heard the twangs of Sweet Home Alabama and I heard my name called out on the loudspeaker. 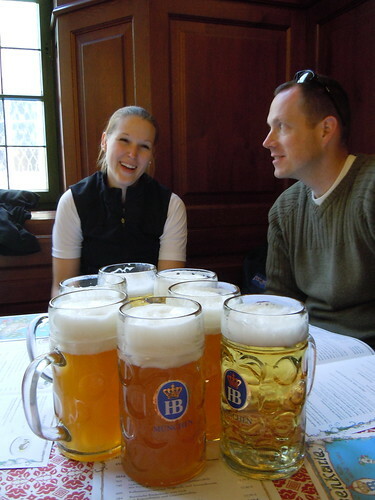 I feel like we had the last laugh since our big, sweaty crowd found our way from the finish line inside the Olympic Stadium to the Hofbräuhaus where we spent the day guzzling big beers, enjoying traditional German food, and sharing tons of fun stories. 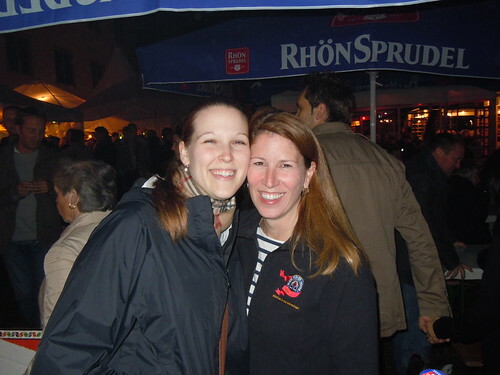 i can’t believe they play kid rock and sweet home alabama in germany! i can’t believe you got a yellow card in a marathon! that’s some straight up soccer bs! what the heck?? i love that you don’t let a little something like being DQ’d ruin your good time. breakin the law! !